Is It Worth Buying a Cheap Guitar? Home / Guitar Equipment Resources / Is It Worth Buying a Cheap Guitar? For many people out there, cheap guitars are seen negatively, due to the perception of them having low quality, poor manufacturing procedures, and many people will even feel skeptical about buying a guitar that’s not US-made. You may never even consider Chinese or Korean guitars and may never buy a cheap guitar – but if that’s the way you see things, you should definitely reconsider, as nowadays there are some pretty good options for spending your money in this area of the market. Many of the big names in the guitar industry have already started moving their production to Korea, China and India in order to make their products more affordable for the average player – not everyone can easily afford to drop $2,000 on a Fender or Gibson, and there’s quite the large market for guitars under $400. Many of the cheap Epiphone guitars are made in Korea – under the supervision of Gibson, nonetheless. Kramer, another company under Gibson’s ownership, produces most of its cheap guitars in Korea as well. Fender bought Jackson a few years back, and now most of its Jackson guitars are made in Korea and India. 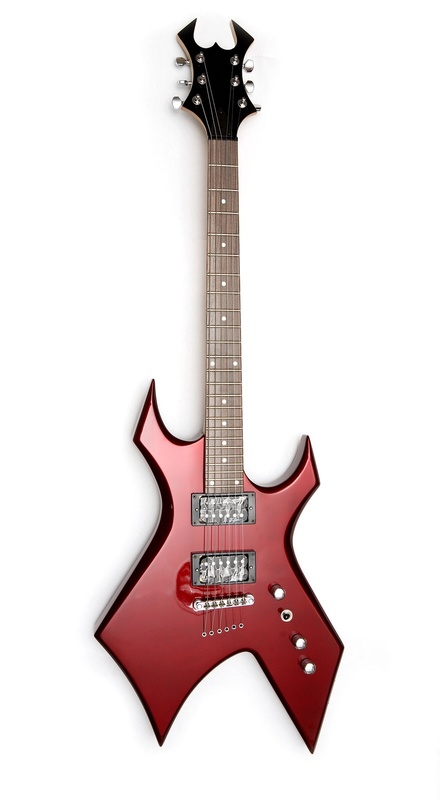 BC Rich budget-friendly guitars, and many Ibanez models, are made in Korea as well. The low labor costs can help produce a cheaper guitar, but just that in itself can’t be the only reason to lower guitar prices. So, why are some guitars so cheap while others are insanely expensive? There are several reasons that play into that. The first factor that can make a guitar cheap or expensive is the manufacturing process behind it. Understandably, hand-made guitars tend to cost more than those coming out of modern factories that can produce them in large quantities quickly. Something else that plays a role in determining the final price is the quality of the materials used in the production of the guitar. This can include the woods used for the neck and body, as well as the paints and finishes. Cheaper guitars use inexpensive woods such as plywood for building the main body, while more expensive guitars tend to use high-quality woods like mahogany, rosewood and alder. The third factor that determines the price of a guitar to a large extent is the quality of the electronics and general hardware used in it – cheap guitars tend to have a cheap bridge, tuners and stock pickups, while expensive guitars are made with high-grade hardware and electronics. The cost of a Seymour-Duncan pickup, for example, may be much higher than the price of a decent cheap guitar made in Korea.